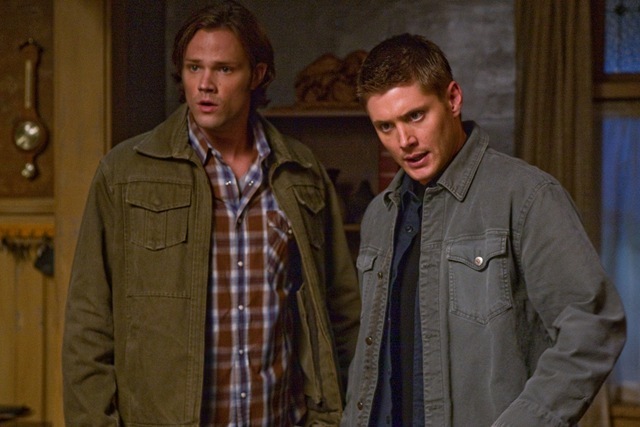 It seems like it was just yesterday that season 5 of the hit CW Network/Warner Bros series, Supernatural was about to premiere and Dean (Jensen Ackles) and Sam (Jared Padalecki) Winchester along with rogue angel Castiel (Misha Collins) and good friend Bobby Singer (Jim Beaver) were headed for the dangerous and daunting task of stopping the apocalypse from happening. Now, this coming Friday the 24th of September, brings the premiere of season 6, which takes the Winchester brothers on a whole new adventure ride for their lives. Eclipse Magazine will be sharing a lot of coverage taken at the 2010 San Diego Comic Con with readers as a lead into the Supernatural 6th season premiere on Friday, September 24th at 9 PM EST. With this premiere of Supernatural season 6 just days away, now is the perfect opportunity to take advantage of the release of Supernatural: The Complete Season 5 on DVD and catch up on or relive the events of season 5 as the two brothers and one rogue angel face off against all the might of Lucifer and his army. As the Apocalypse grows closer, threatening to turn Earth into a battlefield soaked with human blood, Sam, Dean and Castiel struggle against daunting odds while searching for the one ally that might be strong enough to defeat Lucifer: God. Throughout season 5 of Supernatural, new foes arise, including the Four Horsemen of the Apocalypse. Old friends depart, consumed by the fearsome wrath of Hell. Through it all, demons and angels alike, who warn that each brother has a special and terrible role to play in the coming devastation, target the Winchesters. Season five follows Sam and Dean on their most terrifying journey yet, as they race against time to find a way to stop the apocalypse without having their bond as brothers used as weapon of mass destruction on all mankind. At the start of Supernatural season 5 it had been twenty-six years since Dean and Sam Winchester had lost their mother, Mary Winchester (Samantha Smith) to a mysterious and demonic force viewers came to know as The Yellow Eyed Demon (Frederick Lehne). From that point on, the Winchester brother found their lives turned into battle zone as their father, John Winchester (Jeffrey Dean Morgan) taught them to hunt and kill the supernatural creatures and evils that they encountered as they traveled the lonely back roads of America in a black ’67 Chevy Impala loaded with weapons for the task. At the end of Season 4 of Supernatural, both Winchester brothers had been hit with the realization that each was responsible for breaking the two most critical seals that held Lucifer in his cage in hell and now they were facing a landscape of celestial violence, natural disasters and rising human death toll as they, Castiel and good friend and fellow hunter Bobby Singer had to find a way to stop Lucifer himself. 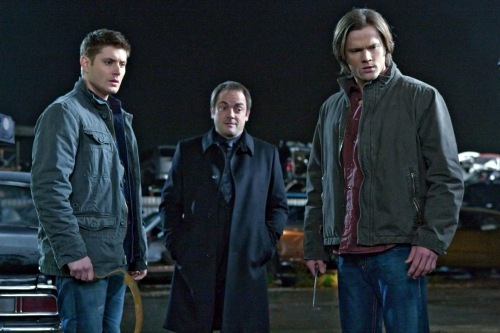 Supernatural Season 5 had a pretty heavy plotline hanging not only over the heads of the series’ leads, Jensen Ackles, Jared Padalecki and Misha Collins, but also over the heads of series creator/show-runner Eric Kripke and his writing/production staff. To take on an apocalypse with denizens of heaven and hell vying for almost the same outcome: the end of the world – was an ambitious undertaking for a television series on a smaller network, which runs on a more limited budget than a big screen movie. In my opinion, in the overall presentation of the apocalypse as a huge threat to the world and to Sam and Dean, the storyline fell short of the solid impact it should have contained. It was kind of like expecting to go on the most challenging, scariest roller coaster ride in the amusement park and finding out you go put on the ‘kiddy coaster’ instead. Which means to me, that where Supernatural season 5 earned its keep and its viewers and fans alike is where it always has: with strong characters, character moments and most of all with the interaction between the brothers Winchester, who are the heart and soul of the series. The trouble is, these special features are also a little bit like expecting to be on the big kid roller coaster and ending up on the kiddy coaster as well. While the commentary on the episode The End – in which Jensen Ackles gives a stunning performance in the challenging aspect of simultaneously playing two different version of his character, Dean Winchester – is a great special feature bonus, I am left wondering why they bothered with the inclusion of the totally lame Ghostfacers web series when there was so much more to delve into from Season 5 of Supernatural. 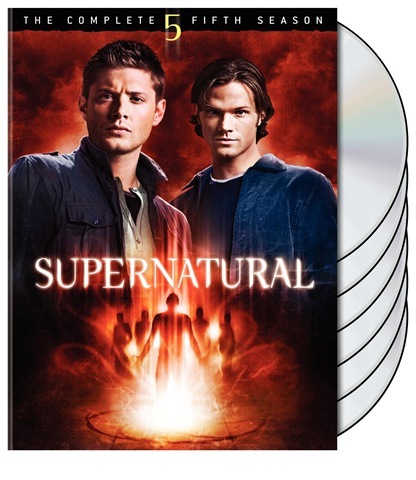 This was especially disappointing when one of the highlights of Supernatural season 5 was that the series hit it’s milestone 100th episode when S5.18 Point of No Returned aired on April 15th of 2010 and the standard DVD set has no special feature coverage of this. The CW Network, Warner Brothers Studios and the whole cast and production staff threw a party to commemorate this Supernatural historic event and this is what should have been included as a standard special bonus feature on all the Supernatural: The Complete Fifth Season DVD sets and not as some exclusive separate add on to DVD sets that are purchased only at Target. As for Supernatural season 5 overall, I would again have to say that it was the character moments and characters themselves that made Season 5 of Supernatural stand out more than the grand storyline did. Jensen Ackles, Jared Padalecki, Misha Collins and Jim Beaver all continued to add to the viewer and fan enjoyment of watching Supernatural. 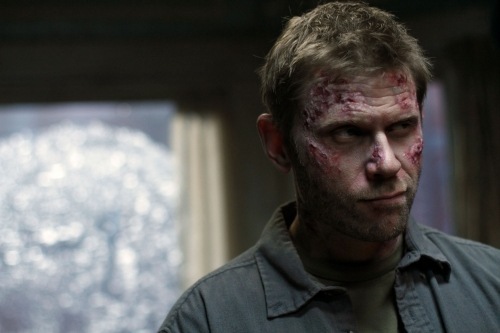 Season 5 gave us new and very memorable characters such as the fallen angel, Lucifer (Mark Pellegrino) who seems to think that his fall from grace gives him the right to destroy humanity. The suave demon Crowley (Mark Sheppard), who doesn’t like the fact that the release of Lucifer has put a crimp in his lifestyle and of course the surprising revelation that Cupid is really some big dude in diaper. Bittersweet reunions with past characters such Ellen and Jo Harvelle. The Winchester’s younger half brother, Adam Milligan who is returned from Heaven by Zachariah (Kurt Fuller) and charged with a special mission. The younger versions of Mary and John Winchester (Amy Gumenick and Matt Cohen) who learn about the terrible path their family has been set on only to lose all memory of it. 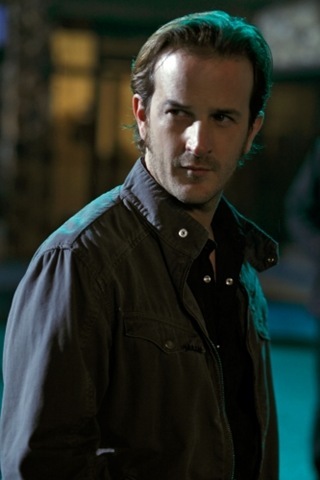 It was in Supernatural season 5 that The Trickster aka the archangel Gabriel, finally won me over and became a character I liked. In my opinion, all this makes Supernatural the Complete 5th Season on DVD worth owning even if the special features aren’t the best. Tune into The CW Network this Friday, the 24th of September at 9 PM EST for the premiere of Supernatural season 6. Previous PostSpartacus No More?Next PostRobin Is Crushed and Barney Calls Dibs in How I Met Your Mother’s Season Six Premiere!